I used a goo.ey case on my own mobile to enjoy the day-to-day benefits, and worked with Rachel to examine the selling points. The cases give you a feeling of freedom and ‘getting your hands back’ by enabling you to put it where you want it, while you skype, cook, film, watch movies, type etc. 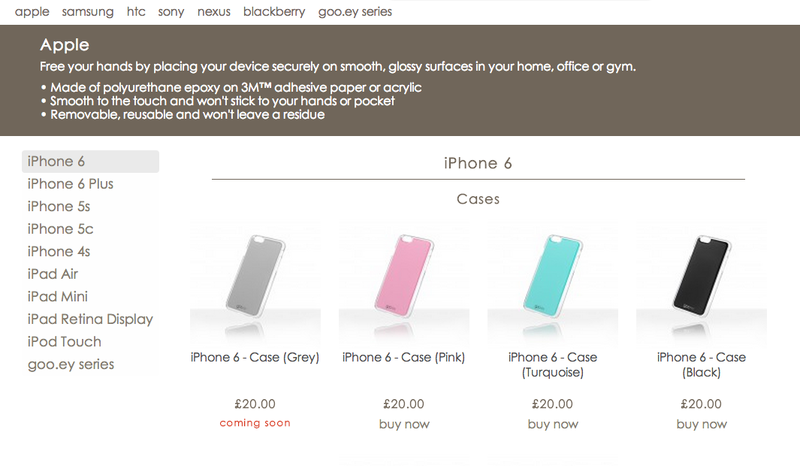 The packaging features the line ‘free your hands’ – along with a brief explanation of how to use the goo.ey case. 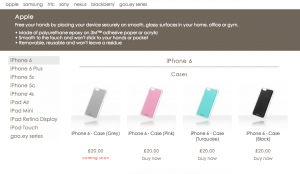 For the website, I wrote minimal copy to keep the focus on shopping and encourage buyers to quickly identify the right product for their device. 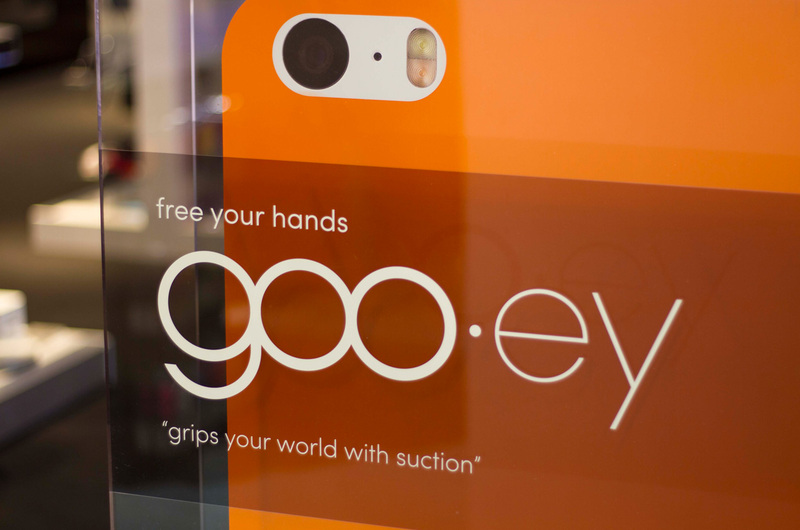 goo.ey has gained extensive coverage and interest in gadget press, titles such as The Telegraph and in fashion and lifestyle magazines such as Tatler. The range expanded quickly and I have since written packaging copy for new additions, in collaboration with designer Reseigh Fooks. Each time, we have kept the wording on the packaging clear and concise to allow for multiple translations. Other copywriting projects have included Amazon+ text, promotional copy, and in-store promotional material for Selfridges (London) and Walmart (US).